3 in. Notched Pull The Liberty Chrome II 3 in. 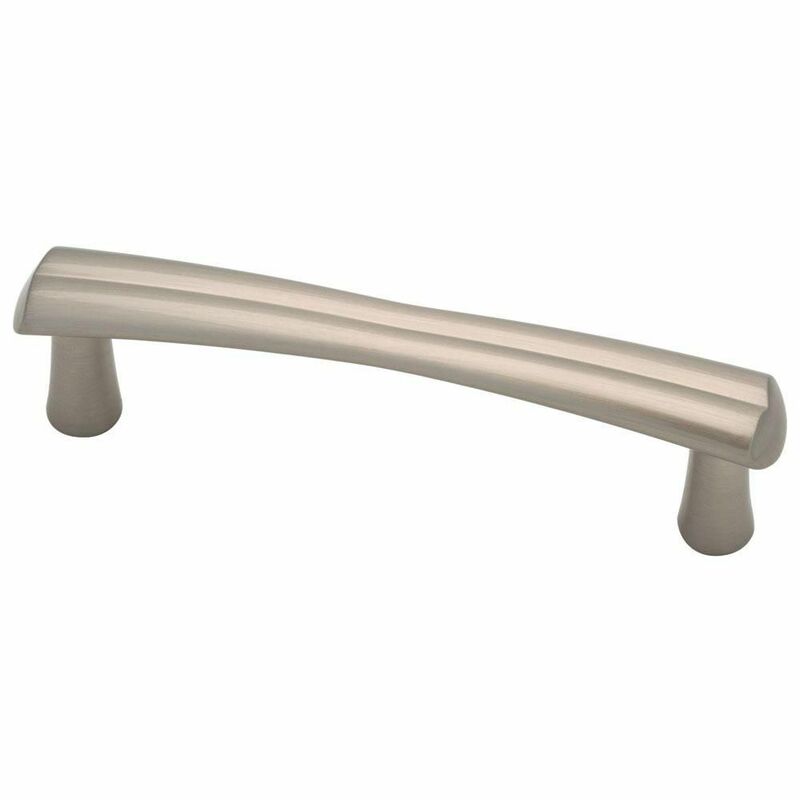 Satin Nickel Notched Pull features distinctive lines and a beautiful finish to add contemporary style to your cabinets or drawers. Update your cabinet hardware to give any room a new look and feel. Mounting hardware included for easy installation. 3 in. Notched Pull is rated 4.6 out of 5 by 17. Rated 5 out of 5 by Sam from Exactly the look I was looking for...great combination of classic... Exactly the look I was looking for...great combination of classic and contemporary. Rated 5 out of 5 by Ernie from Looks very nice, all installed with no problems. Looks very nice, all installed with no problems. Rated 5 out of 5 by Anonymous from Great product. Great value. Bought these to update my master... Great product. Great value. Bought these to update my master bathroom. They even complimented my existing light fixture and faucet. Great choice. Rated 5 out of 5 by Mary from They look great and fit perfectly!... They look great and fit perfectly! Rated 5 out of 5 by Jeff from Good quality handles.... Good quality handles. Rated 1 out of 5 by elguapoeg from I bought 7 of these pulls for a new bathroom vanity, marked my 3" mounting holes on the drawers b... I bought 7 of these pulls for a new bathroom vanity, marked my 3" mounting holes on the drawers but thought I'd check the pulls before I actually drilled mounting holes, glad I did. Only 3 of the pulls measured 3" center to center, one measured 2-7/8" and the other 3 were somewhere in between. It was obvious the "curve" of the pulls varied, significant enough to tilt the legs and change the 3" dimension, and the installed appearance would also not appear consistent with 'good' pulls. The attached picture shows a 'good' pull in the bag, and a 'bad' pull next to it. I know I can custom drill holes for each pull, but I can't deal with poor quality control that wastes my time, so this junk is going back to store, and I will avoid Liberty brand in the future.